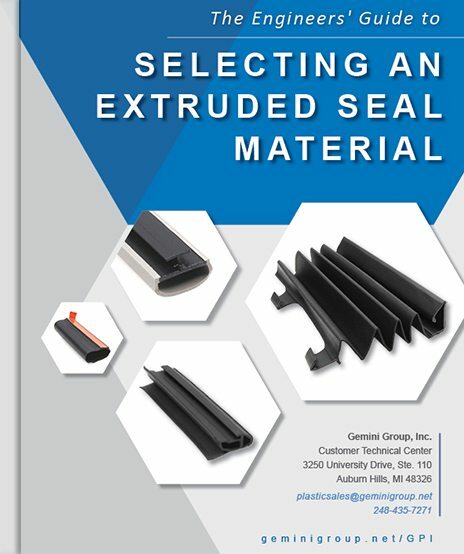 Material selection tips from a plastic seal manufacturing insider; because rubber isn’t always the best option. Learn how to choose the best plastic for your seal and free yourself from the restraints of rubber. Use this guide as your starting point. Simply fill out the form below and we’ll send a link to your inbox immediately! How do you know what plastic is best? Gemini has spent decades developing over 5,000 plastic extrusion profiles and manufacturing millions of dual- and tri- durometer plastic seals. You can be confident that we have the resources and expertise to help with your unique application. This guide truly is the next best thing to working directly with our seals team, so what are you waiting for? Dive in! Copyright © 2018 Gemini Group, Inc. All Rights Reserved.